Capella Ecumenica Sanctae Annae in scopulis is a chapel in the archipelago of S:t Anna, in the province of Östergötland. 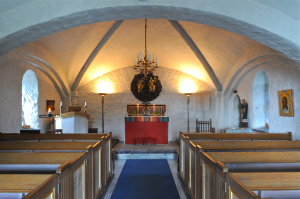 In the chapel, which is located on a small island called Västra Gärsholmen, church activity is run from May to September. On this place one can find a moment of peace during our services or experience some of the great moments in life such as marriage or baptising. In the menu you can read about the history of Capella Ecumenica and how you can get there. The chapel on Västra Gärsholmen is the work of Hilding Bielkhammar, born in the parish of St Anna. 1925 as an 18 year old boy he visited Stockholm to attend the big Ecumenical meeting, which was led by at that time archbishop Nathan Söderblom. At the meeting Hilding Bielkhammar heard the Lords Prayer being held in over 50 languages and it was at this time he got the idea to build an ecumenical centre in his home parish. In the autumn 1958 Hilding started together with his family and friends to carry stones from the shores of the island to where the chapel would be. Without technical help he built meter thick walls and constructed a replica of St Anna old stone church which is from the 14th century. 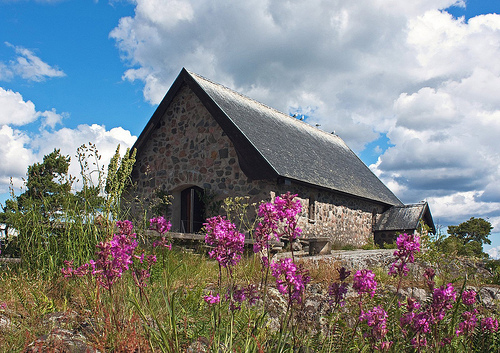 The little chapel on Västra Gärsholmen was inaugurated on the holiday of Ascension day in 1965 by the Bishop Ragnar Askmark. From that day the chapel has been ran by the order of Capella Ecumenica Sanctae Annae in scopulis. The season starts in May and ends in the beginning of September. 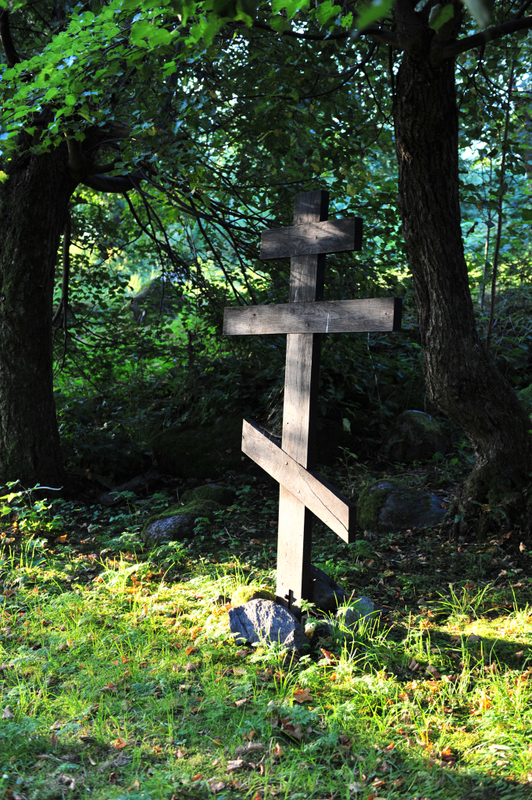 Every All Saints Day a special service is held in the memory of those who built the chapel. During the season services are held every sunday and holiday at 11.00 am. During the season there are hosts on the island. They take care of the island and organise guided tours. The chapel is also a popular place to get married in.